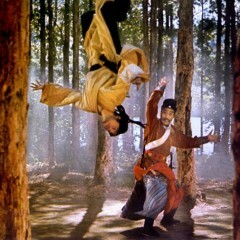 Home » Posts Tagged "Feng Hsu"
An epic wuxia martial arts film with a legendary reputation, A Touch of Zen involves some very bold aesthetic decisions. They pay off in blades (ouch!) and this 4K restoration is so pristine that you can see dust smears on the camera lens.